With an oeuvre that sounds like a more dance friendly and mentally disabled version of Ariel Pink, the trio is ready to herald a new musical era. Fusion jazz, Alan Vega and eighties AOR are the main ingredients of the Girlseeker cult and despite the sometimes happy sounding keyboard patterns, the lyrics embrace the same existentialist crisis of that period. This LP is a split-release with Big Love, Insula Music, Release the Bats, Denim Hologram, Silver Ghosts, KRAAK, New Images, Music City, 4:2:2v2 en Underwater Peoples. Apart from one or two lonesome 4-track explorers popmusic didn’t really break bones in the off-stream musical spectrum for the last ten years or so. 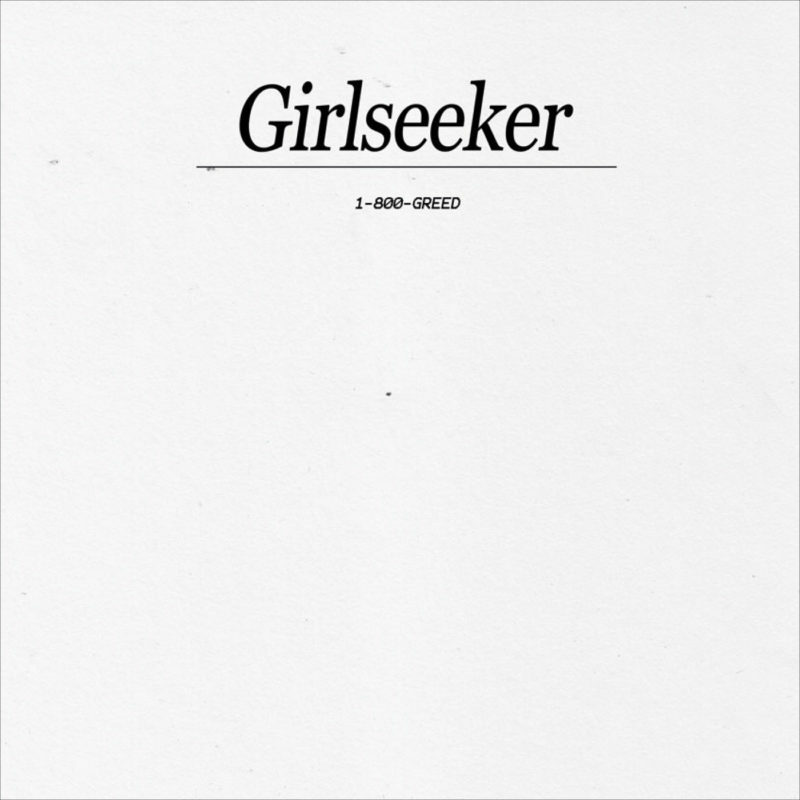 Just when we started worrying about a scene that would become overruled by eternal drones and loops, Danish pop freaks Girlseeker came to the rescue. With an oeuvre that sounds like a more dance friendly and mentally disabled version of Ariel Pink, the trio (live often extended by the guitarist of Iceage) is ready to herald a new musical era. Fusion jazz, Alan Vega and eighties AOR are the main ingredients of the Girlseeker cult and despite the sometimes happy sounding keyboard patterns, the lyrics embrace the same existentialist crisis of that period. With the whole electronic eighties revival movement Girlseeker share a fascination for MTV- and VHS culture, but leaves out all the irony and false nostalgia. This is pop music in its purest moment: psychotic outsider art for the romantic listener.